With its breathtaking scenery and geothermal delights, Iceland has long proved popular among intrepid travellers. But in recent years, the number of people visiting the enchanting island has skyrocketed, with tourism swelling by more than 20 percent every year since 2010. Last year alone, Iceland welcomed nearly 1.8 million tourists, with annual visitors now far outnumbering the nation’s 340,000 natives. Thanks to this tourism boom, Iceland’s once-struggling economy is now buoyant, with unemployment falling from a post-financial-crisis high of 10 percent to less than three percent today. However, it’s not just adventurous holidaymakers who are flocking to the volcanic island. The capital city of Reykjavik is fast becoming one of the world’s premier business destinations, emerging as the ideal location for meetings and conferences with a difference. Business travel to the Nordic nation has never been easier, as Iceland’s tourism surge has seen vast improvements being applied to the infrastructure in Reykjavik and beyond, with an abundance of luxury hotels and venues springing up across the country. What’s more, the nation has also benefitted from a growing availability of low-cost flights from Europe and the US, which have helped make Iceland easily accessible and well connected for busy corporate travellers. In 2016 alone, nearly seven million passengers passed through the island’s Keflavik International Airport. 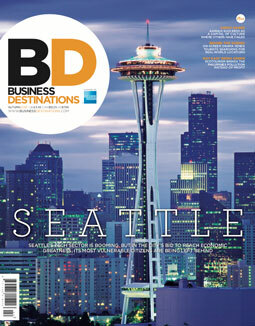 Upon arrival, business travellers are immediately struck by the nation’s awe-inspiring natural beauty. This rugged landscape has undoubtedly secured Iceland’s international reputation as an ideal destination for memorable corporate events. Located in the south-western corner of the island, Reykjavik is the nation’s capital city and its business hub. With its distinctive architecture, colourful buildings and rich cultural heritage, the city’s unique Icelandic charm soon captures the hearts of all who visit. Travellers find themselves warmly welcomed by the locals, many of whom speak English as their second language. The city itself is small in size, with a population of around 200,000 full-time residents. Despite its modest size, however, the city is strikingly cosmopolitan, boasting countless bars, cafés, restaurants and museums. Unlike some of Europe’s intimidatingly large capital cities, Reykjavik has a small-scale urban centre that attendees find easy to navigate. While the financial hubs of London and Paris are almost labyrinthine in their complexity, delegates will find Reykjavik reassuringly manageable, and need not worry about getting lost or delayed in traffic. The city’s numerous conference venues are all conveniently located, with the famous Harpa Concert Hall and Conference Centre overlooking the harbour in the city centre. A true architectural masterpiece, Harpa is a hive of activity, and has become an instantly recognisable landmark in the Reykjavik cityscape. With its distinctive architecture, colourful buildings and rich cultural heritage, the city’s unique Icelandic charm soon captures the hearts of all who visit. Once business is done for the day, event attendees can easily find their way through the bustling city centre, where they will discover a rich variety of after-work attractions. Ever since the island was founded, Iceland’s chefs have been using the country’s local ingredients and natural resources to produce delicious, homegrown meals. This grassroots culinary movement has seen the Nordic nation emerge as one of Europe’s most exciting gastronomic destinations, home to a wide variety of thrilling new recipes. For 15 consecutive years, several Icelandic chefs have made it into the top 10 of the respected Bocuse d’Or culinary competition, marking an exciting time for Icelandic cuisine. For tourists and business travellers alike, the city of Reykjavik is made all the more attractive by its close proximity to nature. Surrounded by rugged scenery, Reykjavik is just a stone’s throw away from the nation’s famous bubbling hot springs, powerful waterfalls and fiery active volcanoes. Iceland’s natural beauty is quite simply unparalleled, with the bewitching Northern Lights casting an otherworldly atmosphere over the island nation. When it comes to filling downtime, business travellers are simply spoilt for choice. As delegates look to relax and unwind after a busy few days of meetings, they can take a dip in the nation’s famous Blue Lagoon, or enjoy some luxurious treatments at one of the city’s many geothermal spas. For the more adventurous traveller, meanwhile, there is a host of thrilling activities on offer, including white water rafting, cave explorations, snowmobiling and glacier tours. Wherever one looks, the Icelandic landscape is simply begging to be explored. The nation’s many conference centres also take advantage of the surrounding scenery, offering fantastic views and working nature into their layout. Designed by the Danish-Icelandic artist Olafur Eliasson, Harpa in particular features stunning views of the harbour, surrounding mountains and choppy North Atlantic Ocean. The building’s glass facade is also designed to complement nature, with the glass reflecting a broad spectrum of colours depending on the weather conditions and the position of the sun. In 2012, just a year after first opening its doors to guests, Harpa was named the Best MICE Centre in Northern Europe by the MICE Report Awards. For those looking for traditional Icelandic charm, however, the nation also boasts an array of luxury hotels, including the Icelandair Hotel Reykjavik Natura, which is located in one of the greenest regions of the country. The hotel allows guests to enjoy an immersive Icelandic experience, from its guestrooms based on Icelandic art to the traditional seafood it serves in its restaurant. Situated close to Reykjavik’s own geothermal beach, the hotel is a prime spot for bird watching and refreshing seafront walks. Visitors to Iceland are often struck by the Nordic nation’s atmosphere and unique energy. With its breathtaking scenery and rugged landscapes, nature serves as a constant source of inspiration in Iceland, and gives the island nation an ineffable otherworldliness. Iceland consistently ranks among the world’s happiest nations, and many believe there is a strong link between the island’s natural beauty and this feeling of collective wellbeing. This belief is certainly well founded, as there are numerous scientific studies that attest to nature having a positive impact on health and happiness. According to research evidence, exposure to nature can reduce blood pressure, ease respiratory tract and cardiovascular illnesses, and boost vitality and mood. What’s more, it has been proven that people begin to feel psychologically restored after just 15 minutes of sitting outside in a park or forest. In the long term, prolonged exposure to nature has been shown to correlate with life satisfaction, mindfulness, lower cognitive anxiety and overall happiness. “The power of Iceland lies in the energetic source of nature, culture and local mentality,” explained Sigurdsson. “Visitors often talk about the palpable energy of the island, and how this serves as a source of real inspiration. Good energy is contagious. For business travellers looking to unlock the restorative power of nature, Iceland offers a variety of unique wellness activities. At the famous Blue Lagoon and other geothermal spas, in-water treatments and massages seamlessly blend relaxation, healing and nourishment together. As visitors relax under Iceland’s starlit Arctic sky, the warm geothermal water works its wonders on their skin. Rich in volcanic minerals, the waters stimulate the production of endorphins – or so-called ‘happy chemicals’ – while encouraging better blood circulation and providing pain relief. As part of the massage treatments on offer, silica and algae are massaged into the skin, boosting the production of collagen and keeping skin looking firm and youthful. After these luxurious treatments, visitors emerge from the hot springs feeling energised, yet supremely relaxed. As well as promoting personal wellbeing, Iceland’s natural landscape also serves as a point of inspiration when it comes to doing business. With exposure to nature proven to increase attention capacity and ease mental fatigue, the Icelandic environment is certainly conducive to a successful day’s work. Indeed, this is a place where memories are made, in addition to business deals. 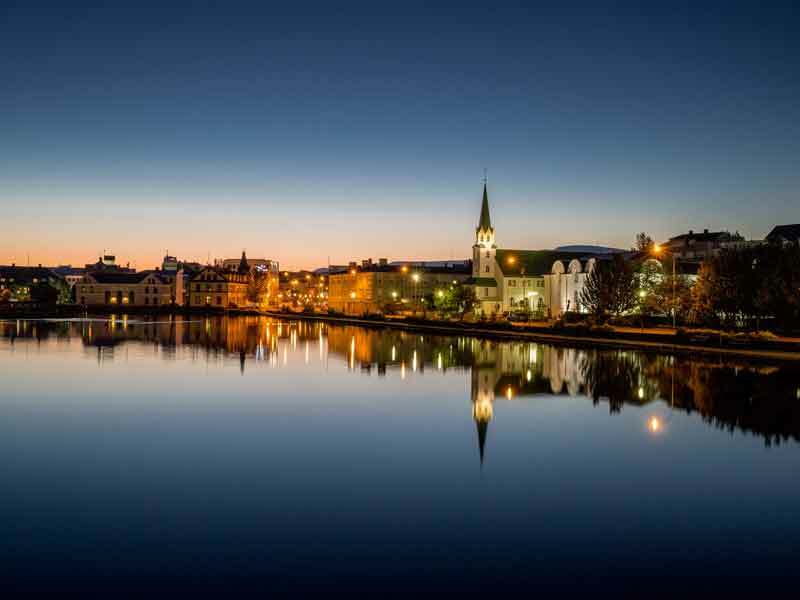 While the city boasts state-of-the-art, hi-tech facilities and award-winning conference centres, it is undoubtedly Reykjavik’s natural landscape that sets it apart from other business destinations. In Reykjavik, conference rooms come with a view, leaving delegates feeling inspired and invigorated.